The Australian Shareholders Association (ASA) has called for a governance reform at electronics, IT and homewares retail operator, Harvey Norman Holdings (ASX:HVN). The ASA claims the company's executive chairman, Gerry Harvey, responded with hostility at the company’s annual general meeting held on 14 November. There is, however, no detailed information on what the company’s founder may have said. The ASA, which is a representative body that focus on the interests of retail shareholders, raised several questions to the company. Harvey Norman described the 2017 financial year as the company’s best to date, which surprised the ASA when the company reduced dividends. Harvey Norman answered to this by saying the dividend was determined after “careful consideration” of all relevant circumstances. Questions were also raised about the company's franchise operations, which have previously been questioned by the Australian Securities and Investments Commission (ASIC). ASIC wrote in a letter sent to the company on 31 October that it did not intend to make further enquiries with the company in relation to the matters raised, in particular whether franchise stores should be consolidated by Harvey Norman. The association said that Derni, a Harvey Norman subsidiary, was no longer guaranteeing the debts of franchisees and questioned how many have gone into receivership or declared bankruptcy. Those claims were also refuted by the retailer. “No action by Derni described in this Note caused any franchisees to "hand their franchises back", go into receivership or declare bankruptcy, as asserted or implied in the question,” the company wrote. A question was also raised as to why the company did not list Amazon and other international players as key business risks, to which Harvey Norman simply said “Amazon is but one of many existing and potential competitors”. 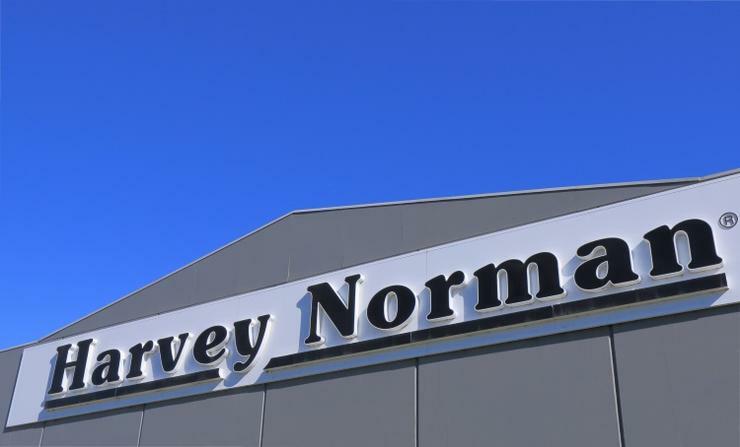 The ASA believes Harvey Norman should have Gerry Harvey replaced as chairman by an independent non-executive director. ASA claimed that Gerry Harvey leads a board that is about to be “totally non-independent” because of its “intentional lack of renewal”. “The incomplete reporting of the company’s controlled entities was also disappointing and contributed to the decision to oppose the accounts,” ASA chairman, Diana D’Ambra, said. Read more Which tech players topped the NSW Complaints Register last month? The association went further and said it would vote against Chris Mentis, the company’s director for the past 10 years, re-election as he is the executive director of a “non-independent controlled board”. Harvey Norman did not address those comments.